The over twenty thousand finds at the Centro Caprense were gathered by Ignazio Cerio during his excursions or obtained through donations or exchanges with scholars the world over in the late nineteenth and early twentieth-century. 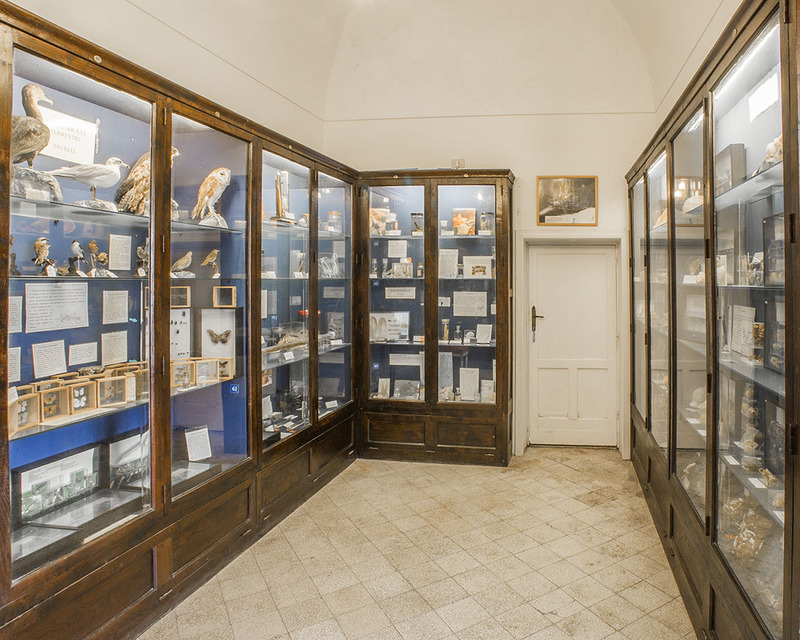 Following the death of the centre’s founder in 1921 and on request of Cerio’s son, Edwin, the collection was reorganized by naturalist Raffaello Bellini (1874-1930) and moved from the main hall (what is now the conference room) into the exhibit Halls in cabinets designed by Edwin Cerio. 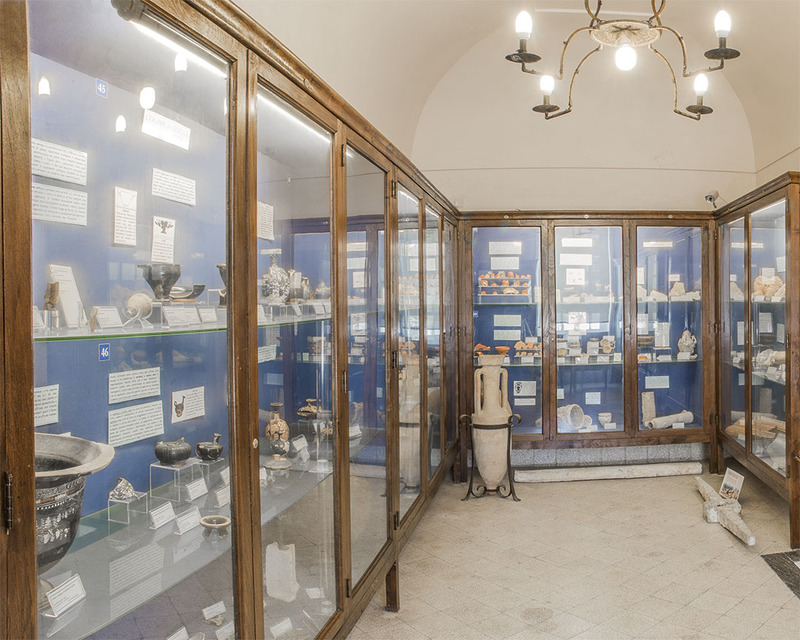 A plan to reorganize the archaeological, naturalistic and paleontological collections, initiated in the late 1990s, has allowed the museum to increase and regroup the collections thus focusing greater attention to those objects related to the island of Capri. In 2000, the “new” Museum, organized into four exhibit areas divided according to subject matter, was inaugurated. 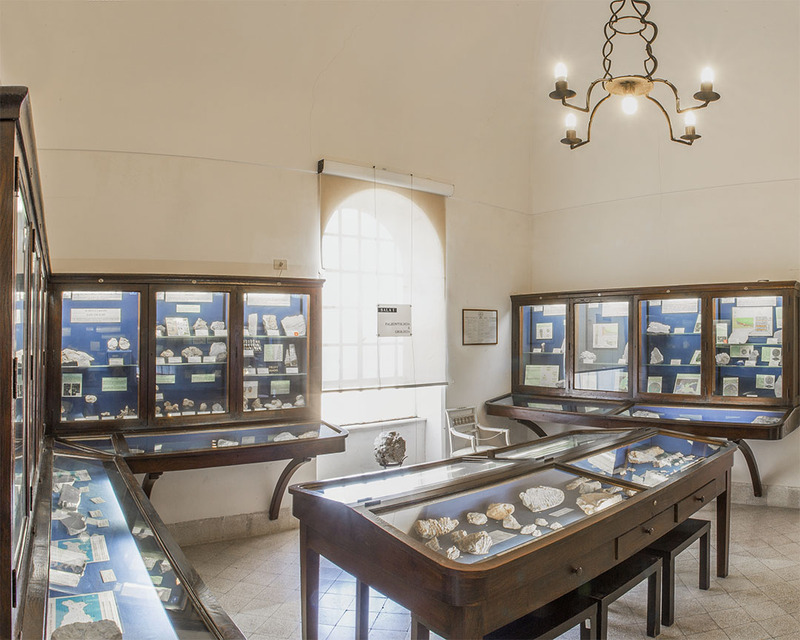 The museum’s Palaeontology and Geology Exhibit provides visitors with the opportunity of understanding Capri’s origins and to observe the fossil organisms which can be found in the island’s rocks, the most ancient of which date back to some 190 million years ago. 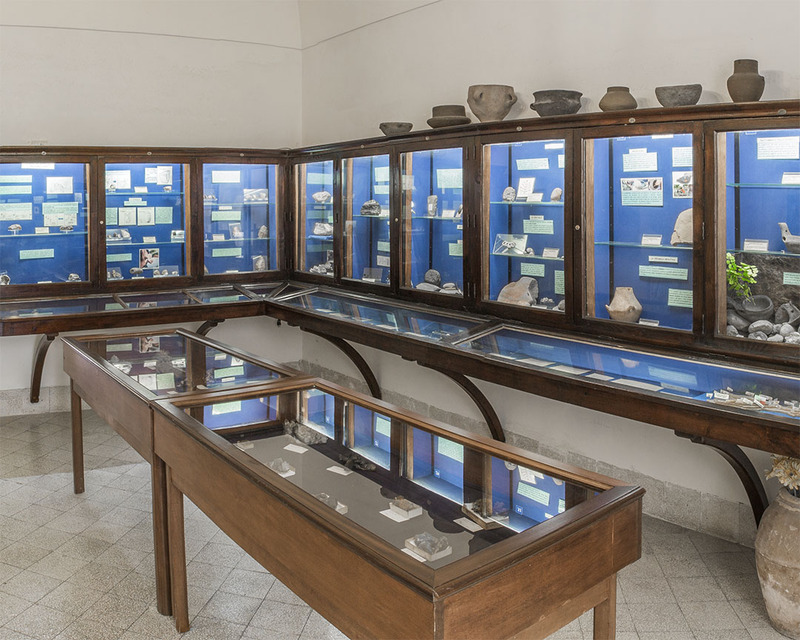 The oldest archaeological finds, which bear witness to the presence of land vertebrates thought to have been on the island approximately 300,000 years ago, are exhibited in the central glass cases. This is a large assortment of large mammals known under the name of “fauna del Quisisana” because they were found, purely by chance, in 1905 during construction work to enlarge the well-known hotel. The Pre-historic and Protohistoric Hall houses prehistoric artefacts dating back to Lower Palaeolithic Age and the Metal Ages: through the use of archaeological finds, experimental reconstructions and objects, the material culture, the technology of the period and the context in which pre-historic man lived. In the exhibit of archive documents, visitors may trace the research history and become acquainted with the thought of the leading scholars of the time. The Biology Exhibit boast numerous animal organisms, both marine and terrestrial. Visitors have the impression they are entering a Gabinetto di Antichità (Cabinet of Antiquities), organized according to the criteria of nineteenth century collecting. In the vertebrate section, the animal symbolic of the island of Capri is on exhibit: the blue-tinted lizard, a spectacular example of insular syndrome, which still inhabits the Faraglioni rocks respectively known as “di mezzo” and “di fuori”. At the end of the visit, visitors are given access to the terrace of Palazzo Cerio, a perfect position for taking photographs of the island, the Gulf of Naples and the Ignazio Cerio Square (the renown Capri Piazzetta).